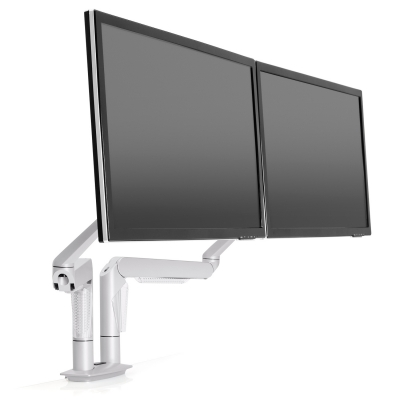 The Dual EVO® Monitor Mount utilizes our award-winning EVO monitor arm in a dual monitor desk mount application. 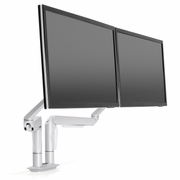 The LCD monitor arms provide intuitive function and dual monitor rotation for easy, ergonomic viewing of both screens. 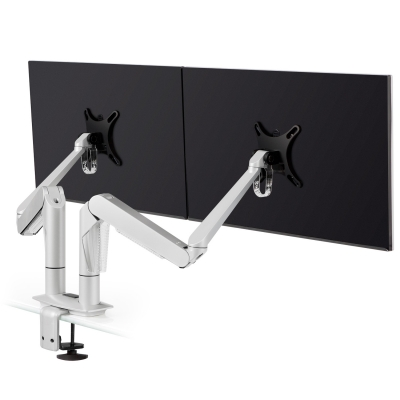 The dual monitor desk mount can be clamped to the desk edge or bolted through the desk. Mount includes an integrated handle for easier setup. Clamp to desk edge, through grommet hole, or bolt through desk.